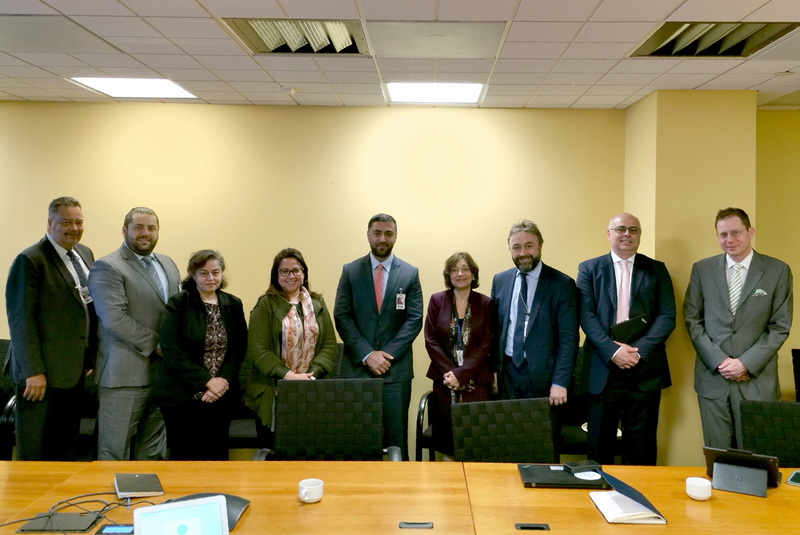 During a coordination meeting held in Washington DC on 28 March 2019 with the Council of Arab Economic Unity, World Bank senior officials commended the Joint Arab Strategic Vision for Digital Economy issued by the Council and reviewed by a number of international organizations and experts. They stressed the importance of the strategic vision in coordinating efforts amongst Arab States to support the transformation to sustainable digital economies. The officials expressed their appreciation to the Crown Prince of Abu Dhabi, HH Sheikh Mohammed bin Zayed for his support and patronage of the strategic vision. The World Bank noted the importance of the joint Arab strategic vision that offers a comprehensive and integrated model to promote the economic growth of all Arab countries and contribute to supporting social and political stability in the Arab region. The strategic vision includes clear programs with their operational models, timeframes for digitalization transformation projects for governments, and digital inclusion of Arab societies. Main points to support the operationalization of the strategic vision were agreed between Dr. Ali Al-Khouri, Advisor to CAEU at the League of Arab States and Mrs. Boutheina Guermazi, Director of Digital Development and Mr. Najy Benhassine, Director Finance Innovation and Competitiveness at the World Bank. Committees from both parties will further coordinate the next steps. “The importance of a common Arab strategic vision in creating opportunities, transferring knowledge, lessons learned and indicators of digital transformation to build smart cities in the Arab region are some of the important factors in the study that CAEU prepared and reviewed with a number of Arab and international organizations and a group of experts in the fields of the digital economy”, said Mrs. Guermazi. Najy Benhassine noted that “the joint Arab strategic vision takes into account the differences between the Arab countries in terms of digital readiness, legislative and administrative reforms required to sustain the opportunities for inclusiveness, efficiency and innovation offered by digital technology to the Arab countries”. Dr. Al-Khouri expressed his appreciation towards the World Bank’s efforts in the development of global economy and the importance of its role in supporting the foundations for the Arab digital economy and its five dimensions. Dr. Al-Khouri highlighted the five dimensions of the strategic vision with digital infrastructure being the first dimension, including legislation and policies, the availability of necessary funding and the governance of national digital strategies. The second dimension is the digital innovation as a catalyst for digital transformation and enhancing the adaptation of technologies for sustainable development. The third dimension is about the digital government and its role in digitizing public processes to improve efficiency and performance, enhance transparency, resolve bureaucracy and boost confidence. The fourth dimension is digital business and partnership with the private sector and service providers, with a focus on small and medium-sized enterprises to support and enhance their pivotal contribution to the growth of Arab economies. The fifth dimension, the most important of which is the digital citizen noting that the digital ecosystem must be based on social adaptation and skills development to reach digital inclusion and create practical and dynamic environment for innovation and usage. Dr. Al-Khouri underlined that creation of 60 million jobs in the next two decades is one of the main motives for international organizations to support the joint Arab strategic vision for digital economy and to direct global investments to achieve it under the umbrella of the League of Arab States.